arts fest | Berea Arts Fest. 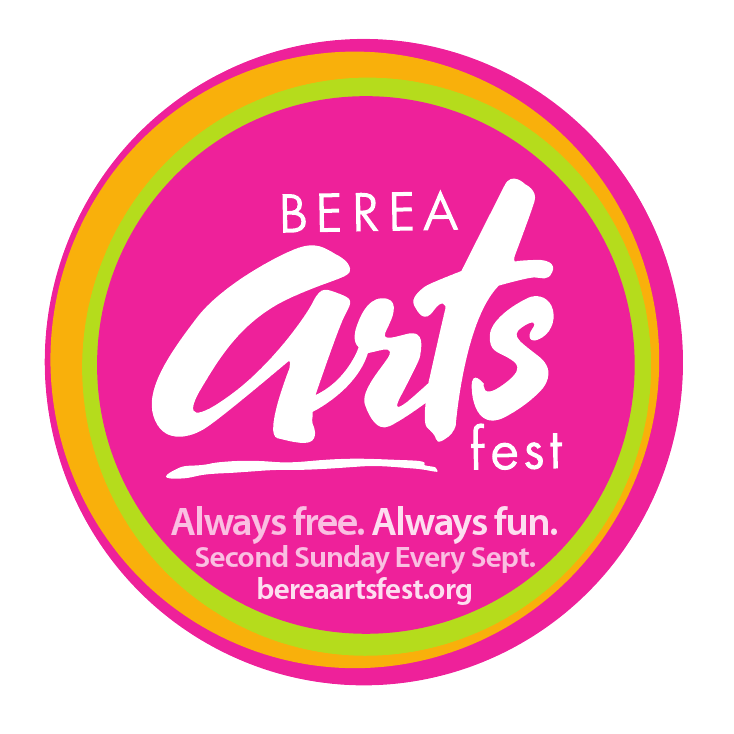 The Berea Arts Fest is this Sunday September 9th from 10a-5pm. It is a rain or shine event. We are aware of some of the weather predictions for this Sunday. But we are also optimistic that if we know anything about Cleveland, Ohio weather is that it’s unpredictable and subject to change at anytime. The 2018 Berea Arts Fest will happen this Sunday regardless of weather. We can only hope for the best and adjust to the unexpected. Although we all would love for sunny skies, sometimes life hands you rain clouds. Without the rain, we could not “Let Art Grow”. Please show your support during the cloudy days as you would during the sunny days. We will still have lively music, thrilling performances, savory food, and of course GREAT art! Join the Berea Arts Fest for its “Thirsty for Art” Beer tasting fundraiser on April 22nd. Click here for tickets! Celeste Stauber is a new addition to the Berea Arts Fest’s. She will be the new Event Management Intern. Celeste is a rising senior at Baldwin Wallace University. She is pursuing a degree in Studio Art with a minor in Arts Management. When Celeste is not in the studio drawing or painting, she enjoys live music and rock concerts. She is an avid “Buffy the Vampire Slayer” fan, enjoys long nature walks and playing the piano. After college, she would like to stay in the Cleveland area and pursue a career pertaining to visual arts and live music. When visiting the Berea Arts fest on Sunday, September 10th from 10a-5p, make sure to say hello to Celeste! Perhaps you’ve visited the Berea Arts Fest to window shop at the various booths. Maybe you’ve purchased a piece of artwork or jewelry, enjoyed the musical offerings, watched children at the Chalk Walk or taken children to the Kids Kreation Station to create their own art. The Berea Arts Fest invites you to experience all this and more as a volunteer during our 2014 Arts Fest on Sept. 14. Our dedicated volunteer staff members pass out programs as patrons arrive, help at the Kids Creation Station, distribute refreshments to the artists, “booth sit” while artists take a break or help with set up and take down. Our planning committees are another way to be a part of one of the premier events in northeast Ohio. We welcome you to take part in any number of tasks for whatever time you care to donate. Summer is here and the Berea Arts Fest is looking to celebrate its twenty-third anniversary. This year’s event will be held on Sunday, September 8th, 2013. In order for the event to be a continued success, we need the assistance of trusted volunteers such as yourself to aid in this years activities. 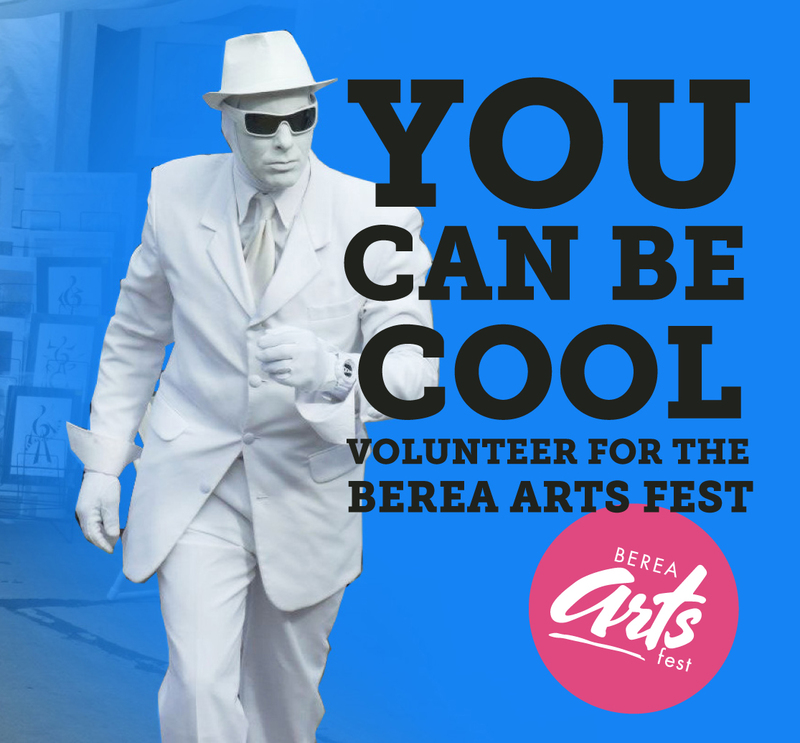 As a volunteer, you will play a key role in organizing, implementing and making the Berea Arts Fest a great event. To volunteer, please email or call the Berea Arts Fest.